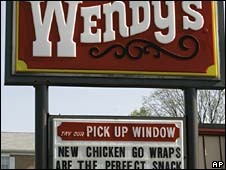 Burger chain Wendy's is to withdraw from Japan after local operator Zensho said it would end its contract with the US fast food giant. Zensho, which operates 71 Wendy's burger restaurants in Japan, said it planned to close all of the outlets by the end of the year. It wants to concentrate instead on its chain of "gyudon" beef bowl restaurants. Japan's burger business is dominated by rival US fast food giant McDonald's. "We will focus our resources on beef bowl restaurants and others. The closure is part of our business plans," Zensho said. Zensho had been operating Wendy's in Japan since 2002, and the burger chain generated 6.2bn yen ($70m; £43m) in sales in the year to the end of March.